Pioneers of the new wave of VR reveal how they immerse you in other worlds, but “presence” doesn’t come easily. “It’s like a small bird you can very easily kill,” one filmmaker says. One moment I’m in a room full of people, the next I’m in the sun-scorched Australian Outback. But it takes more than the fancy graphics of the Samsung Gear VR virtual-reality headset I’ve just lowered over my head to convince me I’m really hanging out with aborigines. 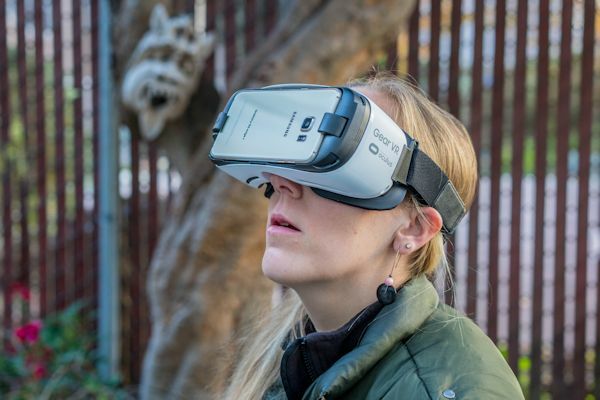 Marks was one of the filmmakers and content creators discussing VR at last month’s Sundance Film Festival, which saw an explosion of interest in the topic and many festival-goers trying Gear VR, Oculus Rift and Google Cardboard VR headsets for the first time. How do you make them want to return for a second, a third and a 50th time? It’s a question of great importance to high-tech companies looking for the next big thing and already banking on virtual reality taking off in 2016. Investments in VR by the likes of Facebook, Google, Samsung and Sony, along with well-funded startups like Jaunt, NextVR and Magic Leap, are expected to change the way we play video games, take field trips, and watch sports and movies. That is, being able to see the world around you. Today’s headsets and displays have that cracked. This involves tracking the movements of your body and playing them back within the virtual world so you can see yourself in the virtual space when you have the helmet on. This is in the early stages with, for example, Oculus Touch controllers you hold in your hands. This involves holding physical props in your hands in the real world and seeing them interact with the virtual space. Charbonnier’s team has developed a simple stick you hold that looks like something different in the virtual world, such as a torch you can use to light your way. This involves interacting with other headset wearers in the virtual world. It’s real cutting-edge stuff, but Charbonnier’s team is using motion tracking to let two people interact in the same space. For example, if one person walks off with the torch, the environment goes dark for the other person. They can even throw physical props to each other. In the video below [and on YouTube], two users interact with each other in a demo. Sound is also important to help you locate yourself in the virtual environment. In this video [also on Vimeo], the creators of “Collisions,” the VR experience I watched, discuss using the Dolby Atmos sound-mixing system to help place you in the Australian Outback. Paul Raphaël of Felix and Paul Studios compares presence with mindfulness, the concept of focusing on the present moment. Mike Woods, formerly of noted special effects company Framestore and later a co-founder of VR company White Rabbit, lays out some of the many difficulties of evoking presence. Conversely, inducing a sense of presence too successfully can create a new set of problems. Established forms of media such as movies and video games have faced controversy over whether viewers can distinguish between fiction and reality. With its heightened sense of immersion, that’s likely to be an ethical question facing VR too.